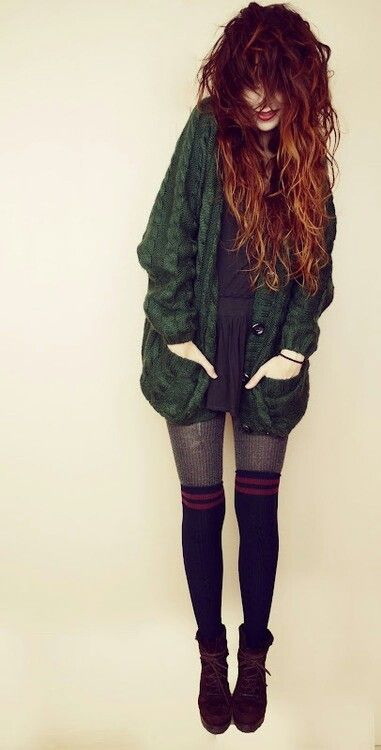 What is the best layer to try during chilly mornings in the beginning of fall season months? 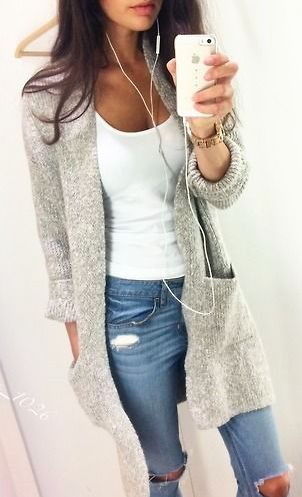 That's a cardigan, darling! In today's post we are going to see stunning 17 ways how you can wear cardigans in your everyday life. My personal favorites are the wrap-around knitted versions with a seriously eye-catching patterns. Of course, there are gorgeous neutral color styles that are surprisingly versatile pieces to wear with LBDs, jumpsuits and tee plus jeans combos. Why this layering piece is so popular lately? Well, it's a must-have for unpredictable weather. Anyway, if you really wanna know some of the best ways to wear this knitted garment, then you better check out the following street style looks. 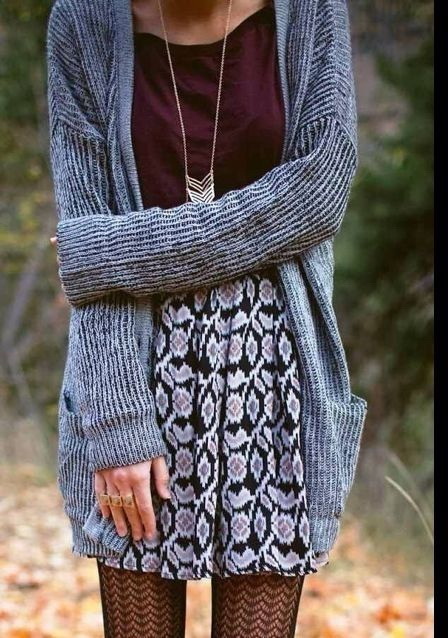 Ribbed knit cozy wrap cardigan looks fabulous styled with burgundy top tucked in tribal print skirt styled with awesome tights. Love the necklace. In this compilation I have gathered striped versions, slouchy, loose-fit designs, chunky knits, tribal deer prints, plain classic colors, etc. You can throw this big layering piece over a tee or a tank or layer it under or over a jacket. You can pair it with anything you want. 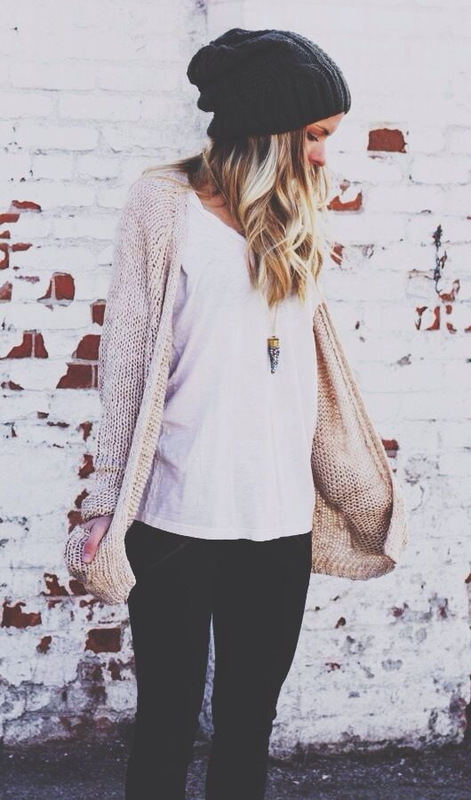 I love to see exaggerated styles that look really awesome and so cute! Of course, if you wanna underline your ladylike silhouette, then you can simply add a skinny or wide belt around waist line. Personally, I love to wear them during mornings...especially as my Lazy Sunday wrap piece. What else is needed? 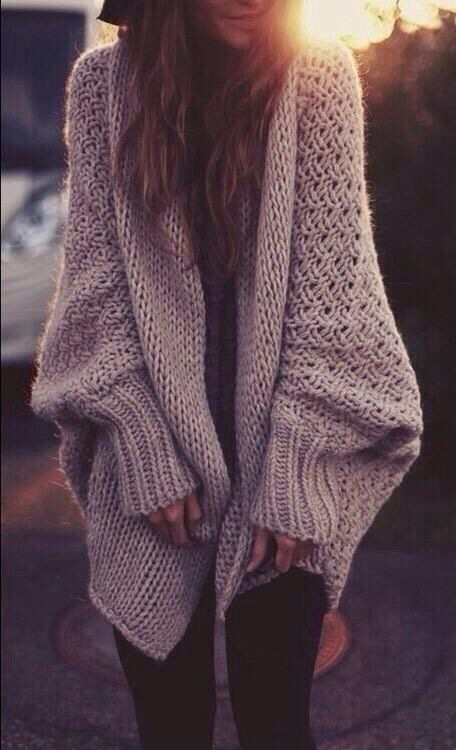 Cup of tea/coffee and cozy cardigan! Love story! LOL!